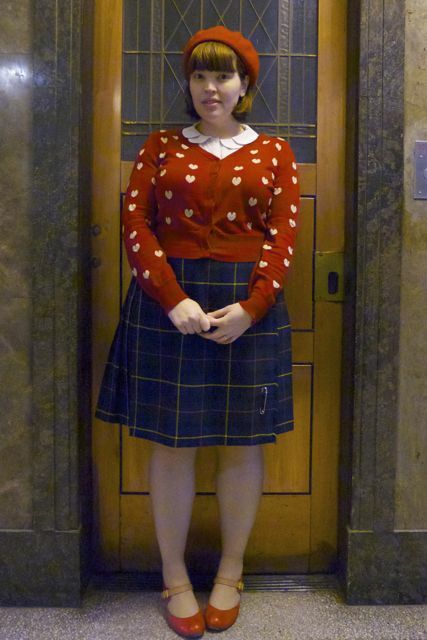 This entry was posted in Uncategorized and tagged cardigan, Chie Mihara, cold, dangerfield, dorothy perkins, skirt, vintage by lillipilli. Bookmark the permalink. I’m so glad you’ve been enjoying reading! Don’t feel bad about not commenting (I’m a bit of a silent blog reader myself!) but thankyou for taking the time to say hello! 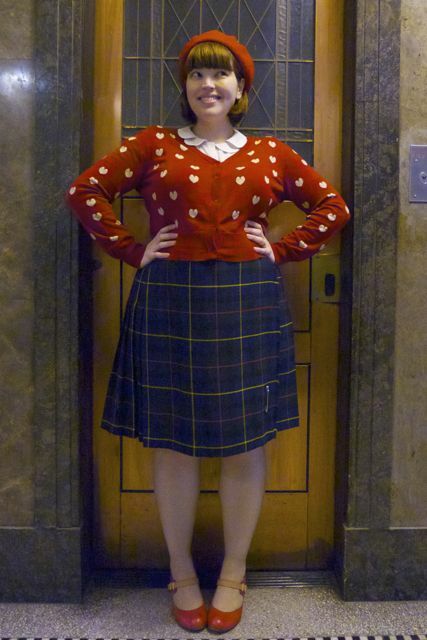 i’ve been searching for fletcher jones skirts recently. i found one at savers and since then have worn it so many times and its just so beautiful and stylish…. i think you would look amazing in them too, the pleats!!! oh love! Good old Fletcher Jones, all the bricks and mortar stores seem to be closing, but I shall keep my eyes open at the thrift shops! Ohh, Ill check but I emailed Chie Mihara and they only had non Melb stores in Oz! Maybe they dont know who stocks it!!! Peter Sheppard @ 271 Collins Street now stocks a selection of Chie Mihara! I know this! I meant – I am excited!!! lol. Love how the Peter Pan collar frames your pretty face! Thanks! 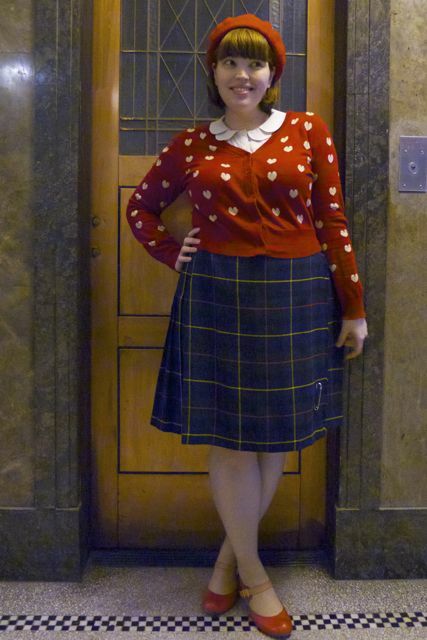 I’ve developed an obsession this winter for peter pan collars! Very cute! Love the hearts! Thanks Catherine – me too! 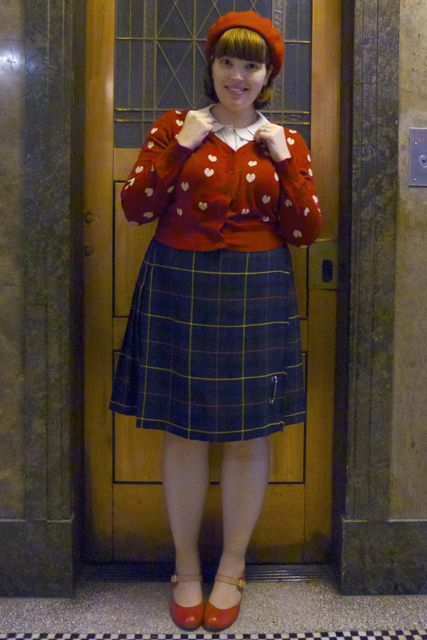 It’s one of the most overpriced cardigans I’ve ever bought, but it was SO worth it – I wear it all the time! Gorgeous and very toasty! I just bought a blue kilt with leather trim for half-price in a David Lawrence sale and I love it. What’s your feeling on ASOS lately? I’ve gone a bit off their stuff.